The King size bed was very comfortable, also the sofa lounge was nice. I like the kitchenette so you can have some meals and eat in especially if it is A wet night. Of course Coogee beach is the best beach and we love walking to the other beaches They have wonderful walking paths. Great location close to the beach and main shopping and dining areas. Great location, easy access to all local amenities. Just steps to the beach. Lots of restaurant choices in walking distance. Close to stops for excellent public transportation. The location can't be beat! Right across from the beach. Lock in a great price for Coogee Sands Hotel & Apartments – rated 8.7 by recent guests! 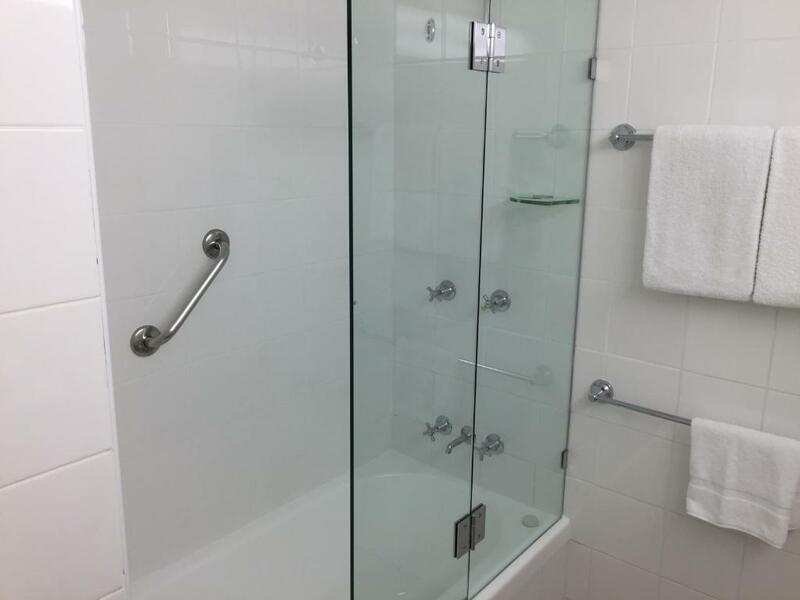 Coogee Sands Hotel & Apartments This rating is a reflection of how the property compares to the industry standard when it comes to price, facilities and services available. It's based on a self-evaluation by the property. Use this rating to help choose your stay! 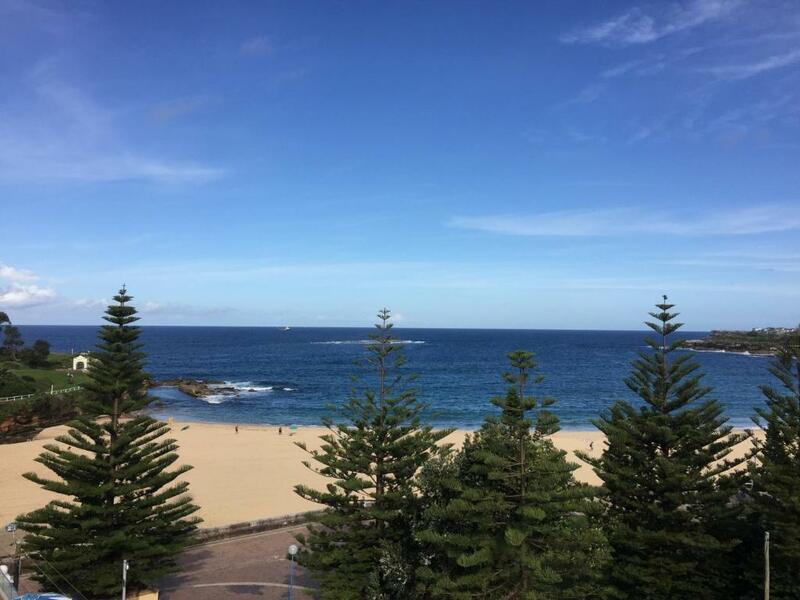 One of our top picks in Sydney.Coogee Sands Hotel and Apartments is located just 50 feet from the picturesque Coogee Beach and a 15 minute drive from Sydney central business district and Airport. The rooms and apartments at Coogee Sands feature air conditioning, cable TV, and kitchenettes with microwaves. Coogee Sands Hotel offers free undercover parking, 24-hour front desk and guest laundry. Guests can relax on the large rooftop deck and barbecue area, enjoying panoramic ocean and park views. The Randwick Racecourse, Sydney Cricket Ground, and Sydney Football Stadium are a short drive from Coogee Sands Hotel. Other nearby attractions include Centennial Park, the Entertainment Quarter and iconic Bondi Beach. Coogee is a great choice for travelers interested in beaches, scenery and restaurants. 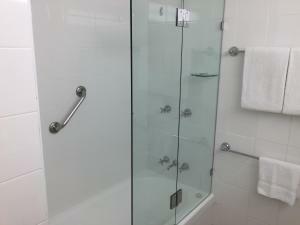 When would you like to stay at Coogee Sands Hotel & Apartments? Located on levels 3, 4 or 5, this spacious studio features a king, queen or two singles beds. It offers an private bathroom (bath on request), kitchenette facilities (bar fridge, microwave, tea/coffee making facilities, cutlery, crockery, glassware), opening windows, air conditioning, cable TV, mini-bar, hair dryer and iron. WiFi is available for an additional charge. This spacious studio features a king, queen or two single beds, and a double sofa bed. Located on the 2nd floor, these rooms feature sliding doors that open to a private outdoor furnished courtyard. Room facilities include an private bathroom, kitchenette (bar fridge, microwave, tea/coffee making facilities, cutlery, crockery, glassware), air conditioning, cable TV, mini bar, hair dryer and iron. WiFi is available for an additional charge. Please note that the price is based on 2 guests. Maximum occupancy is 2 adults and 2 children (see Hotel Policies). Spacious studio with king, queen or two single beds plus a double sofa bed. Front facing and located on the 3rd floor, these studios feature sliding doors that open to a private outdoor balcony overlooking beautiful Coogee Beach. Room facilities include an private bathroom, kitchenette (bar fridge, microwave, tea/coffee making facilities, cutlery, crockery, glassware), air conditioning, cable TV, mini-bar, hair dryer and iron. WiFi is available for an additional charge. This spacious studio has either a king bed (or two singles), plus a double sofa bed. Front facing and located on levels 1, 2 or 6, these studios feature sliding doors that open to a private outdoor balcony with filtered views of beautiful Coogee Beach. Room facilities include an private bathroom, kitchenette (bar fridge, microwave, tea/coffee making facilities, cutlery, crockery, glassware), air conditioning, cable TV, mini-bar, hair dryer and iron. WiFi is available for an additional charge. Maximum occupancy is 2 adults and 2 children. No additional beds are available. Please note that these rooms are accessed via stairs only. Please note that these studios are located on level 5 and 6 and may require the use of stairs. Coogee Sands Hotel & Apartments is ideally situated close to a number of Sydney's hottest attractions (Royal Randwick Racecourse, Fox Studio's-The Entertainment Quarter, Sydney Cricket Ground, Sydney Football Stadium, Lakes Golf Course), & only minutes away from the University of NSW, Prince of Wales Hospital, Royal Womens' & Sydney Children's Hospital, this premier Sydney hotel is the perfect base for whatever occasion you wish to make it! Explore one of Australia's most famous coastal stretches, strolling along the walking tracks that connect the famous cliffs of North Bondi, through to the surfing mecca of Maroubra Beach. Just 8km away from Sydney Airports & Sydney City’s CBD, you can spend less time travelling and more time relaxing! And with public transport just 200 metres from the hotel, the excitement of Sydney City is just a short bus ride away. Area Info – This neighborhood is a great choice for travelers interested in beaches, scenery and restaurants – Check location Excellent location – show map Guests loved walking around the neighborhood! House Rules Coogee Sands Hotel & Apartments takes special requests – add in the next step! Coogee Sands Hotel &amp; Apartments accepts these cards and reserves the right to temporarily hold an amount prior to arrival. Coogee Sands Hotel & Apartments accepts these cards and reserves the right to temporarily hold an amount prior to arrival. Please note: parking is subject to availability. There is a height limit of 5.9 feet in the parking lot. Please note that free internet access is available in the business center when using existing computers. A damage deposit of AUD 100 is required upon arrival – that's about 71.52USD. This deposit is fully refundable at check-out as long as there's been no damage to the property. Courtyard view was not much to look at fenced in area felt abit confined. Nice place with beach very close, rooms were nice and comfortable the staff were excellent very accommodating and helpful. There's a bit of restaurant noise at night on the weekends. Right on the beach. Good views of the beach, through the trees. Decent sized apartment. Very helpful staff. Great location, clean rooms, free parking, and good service. Would highly recommend. Will definitely stay here again. 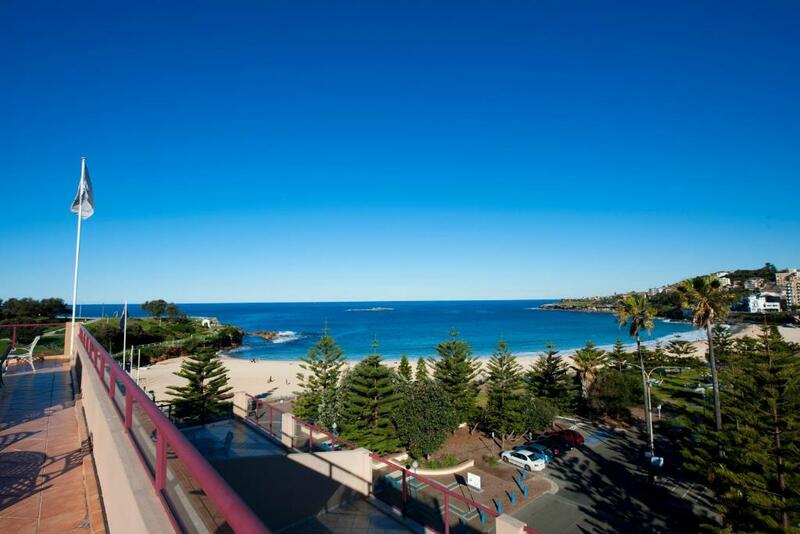 Amazing location right on Coogee beach and next door to the popular Coogee Pavilion. Staff were helpful and friendly. Courtyard off our room was outdated and neglected. Location. Close to everything. Parking available. The room could have been a bit larger. The sofa bed was not very comfortable but the King sized bed was. The location was perfect to the beach and lots of restaurants in the area. The mini kitchen area with fridge and microwave with counter and sink were perfect for a short stay. cooking facility. It will be nice to have a cooktop.